The Appalachian Sustainable Agriculture Project (ASAP) devotes itself wholeheartedly to fostering the area’s local-food movement. For the last two decades, the nonprofit group has carried out this mission by helping local farms thrive, linking food growers with buyers and generally creating a healthier community through these connections and continued civic engagement. In providing area farmers with the necessary tools — whether it be promotional materials, research support, networking or grants — and then making what those farmers have to offer accessible to consumers, ASAP has sustained a model that works to enable a truly responsive food system to form. 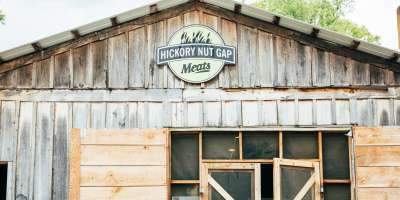 Family farms abound in and around Asheville—and Fairview&apos;s bucolic Hickory Nut Gap is as family as they come. Both Hickory Nut Gap and the adjacent Flying Cloud Farms sit on land settled in 1916 by Jim and Elizabeth McClure. Five generations of their descendants have since farmed the property. 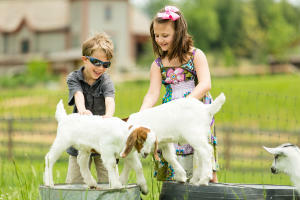 Hickory Nut Gap offers pumpkin picking during the harvest season, plus a hay bale maze and an opportunity to meet piglets, ponies, calves and goats. A farm store carries local ice cream and cider, farm eggs and both fresh and cured meat. 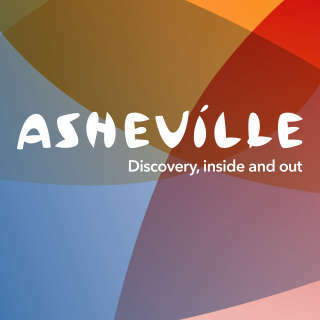 See more of what Asheville has to offer on the farm front by checking out the Appalachian Sustainable Agriculture Project&apos;s Farm Tour, a self-guided driving tour of community food producers and small family farms, which takes place in late June. ASAP maintains a local food guide to help you find local farms and local foods. You can also hop on board a Asheville Farm to Table Food Tour for a guided experience. In Asheville and the surrounding areas, artisan cheese is abundant and increasingly appreciated. 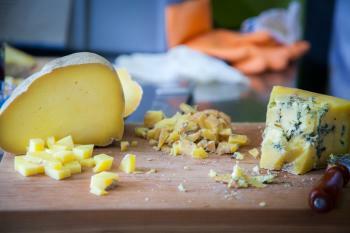 To help spread the word, local cheese-makers created the WNC Cheese Trail. A newly released map helps cheese cravers find hot spots like Looking Glass Creamery, which has a tiny tasting room full of big-flavored cheeses (and a patio with a lovely view). Or visit English Farmstead Cheese in Marion, where you can buy cheese made from the family cows from a quaint storefront. Many of the creameries also sell their wares at local tailgate markets across the region. From the NC Apple Festival to u-pick farms, harvest time means apples abound in WNC. Henderson County is North Carolina&apos;s apple mecca with 28 farms, many of which allow visits. Besides apples, expect to find baked goods, cider, hayrides and other harvest-time festive fun. A bit farther afield in Spruce Pine, just off the Blue Ridge Parkway at mile marker 328, The Orchard at Altapass is part Appalachian cultural center, part apple bonanza. There you&apos;ll find 280 acres rich with heirloom apples (ripe for the picking beginning in late summer), mountain music, story-telling hayrides and late-fall apple butter (jars of which make perfect souvenirs for those left behind in the low country).